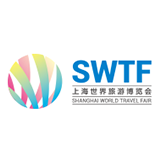 Shanghai World Travel Fair, the leading travel expo in China staged annually in Shanghai and co-hosted by Shanghai Municipal Tourism Administration and VNU Exhibitions Europe, is a vibrant must attend event showcasing a diverse range of destinations and industry sectors to China's most dynamic markets. It is a unique opportunity for the global travel trade to meet, network, negotiate and conduct business, plus an effective platform for consumer marketing. In 2018 , the fair gathered more than 65,000 visitors and over 750 exhibitors globally.